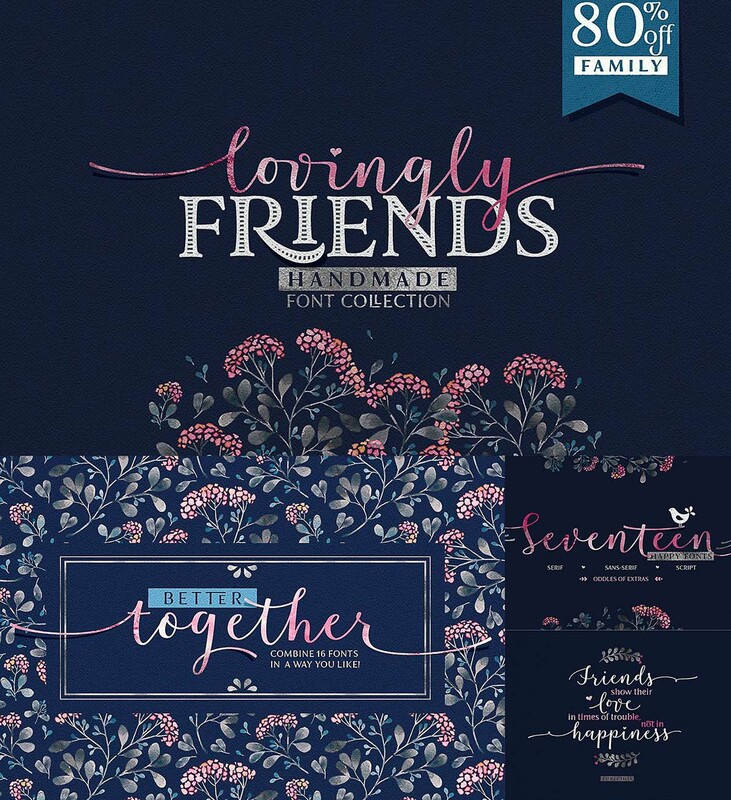 Introducing Lovingly Friends – a collection of fonts that get along together as good as best friends do. All of the fonts – Sans, Serif, Notes, Script and Extras are packed with stylistic alternates and ligatures, you can combine them the way you like – they will look balanced together as well as individually. Script and Engraved fonts also have a Shadow style – to add more personality to your designs. 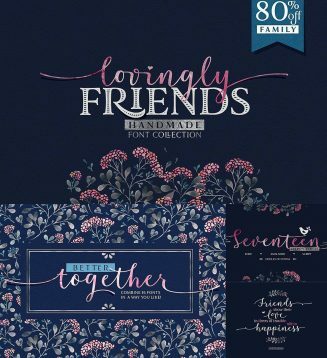 Tags: font combination, font family, handmade font, modern calligraphy, sans, script, serif, wedding font.